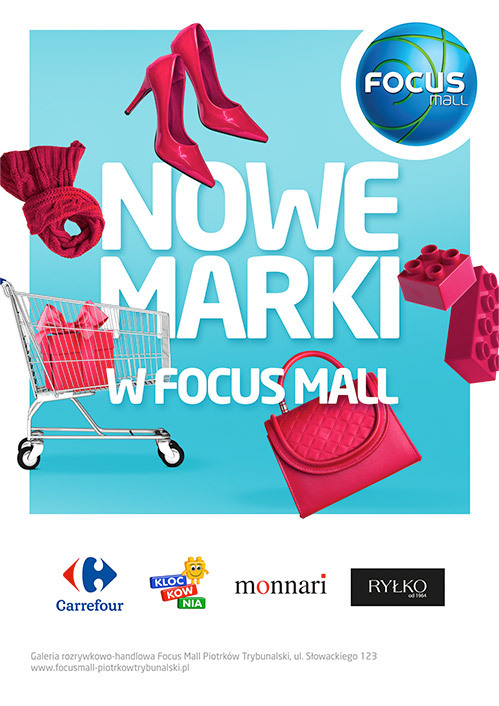 Outdoor campaign is a main method of promotion for shopping malls in Poland. Apart from advertising new collections there are also competitions, birthday lotteries, meetings with celebrities, shopping nights, and various announcements about changes in traffic or opening hours of the mall. Outdoor campaign is not everything. Participants should be sure that they are at the right place. Repetition of message and clear determining of the central point have a positive impact on attendance. It’s always a good idea to take care of your client’s good mood by adding extra information about places, where he can relax and get accostumed with the retail park’s shopping offer. The amount of information included in an announcement should be adjusted to the format and place where the advertisement will be present. In city centres, where traffic and advertisement media are dense, the message should be as short as possible for accurate reception. Size does matter. It is worth to apply large format even in places where magnifying the advertisement for better readability is not necessary. This way it will add “large format” to the event.